“Eating through the Earth” by Karen Pirnot is a book for all women. She has taken the attributes of several of her precious friends and combined them to create some of the most memorable characters you will ever meet. Every reader will catch a glimpse of their self somewhere in these characters. Stelby’s life had revolved around her husband and children; after he passed away life went on in much the same fashion until one of her daughters gave her a gift certificate to a spa. That was a life changing day. Stelby returned home with a renewed spirit; after all those years she had discovered her niche. She and several other women turn her basement into a meeting place. They discovered there was little they could not do, from finishing dry wall to patching concrete. They found something that had been hidden in the basement; it was never meant to be found. The women bloomed as their friendship strengthened. 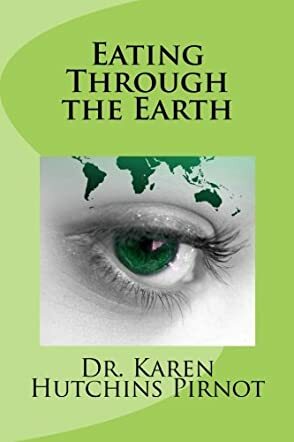 “Eating through the Earth” by Dr. Karen Pirnot will touch the hearts of many. This is a book on the importance of knowing your own self-worth; it is a book about friendship. Stelby was my favorite character; she was awakened by a trip to the spa, such a simple event and yet an important one. Once Stelby got something in her mind, there was no stopping her. No project was too big. Cheryl wanted someone to love her and someone to love. Clarice felt guilt and went through life trying to be perfect. The other characters too have equally important attributes. When they worked together they were unstoppable.